This MIP Traxxas X-Duty Rear CVD Drive Kit was developed to consolidate multiple kits into one single offering - in an effort to provide an easier to manage parts system for hobby shops. 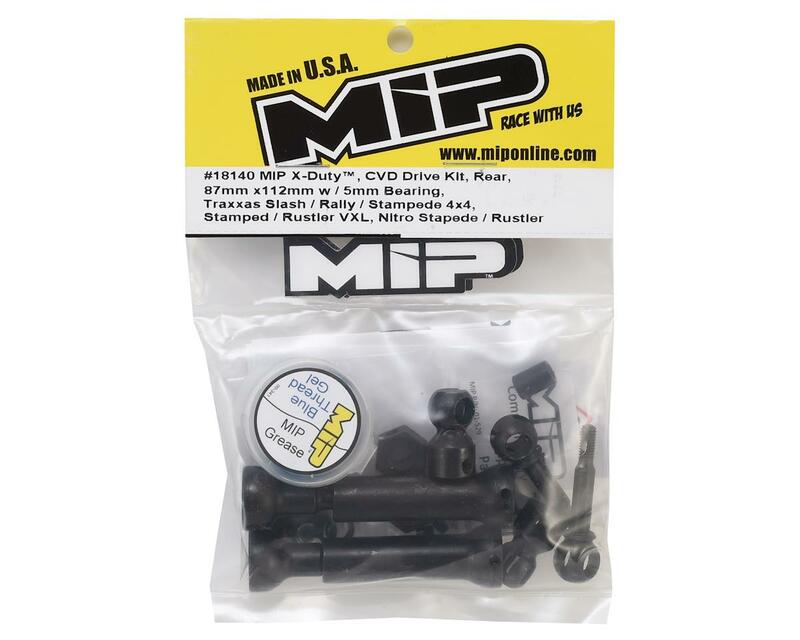 This kit combines the MIP #11104, #11106, & #11109 kits into 1. 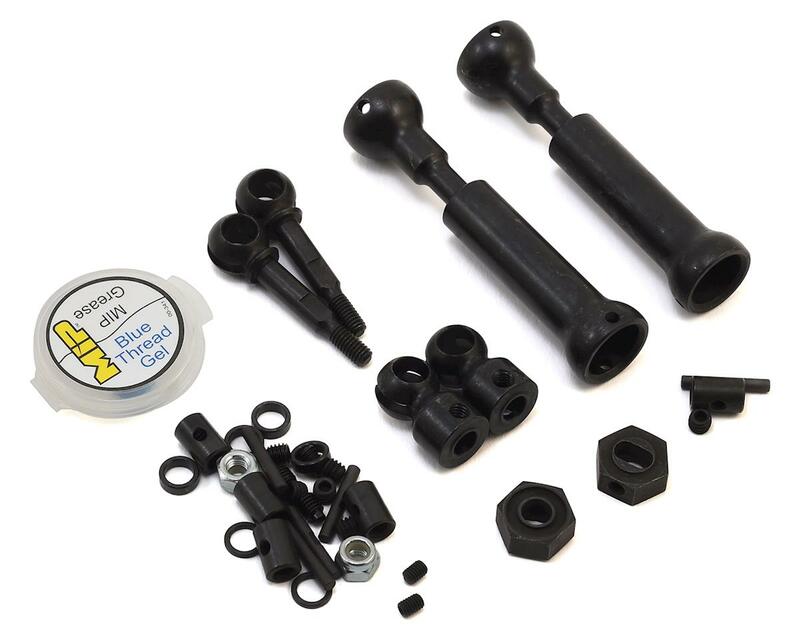 This is an X-Duty™ style kit that fits the Traxxas line of vehicles including; Slash, Rally, Stampede 4x4, Stampede VXL, Rustler VXL, Nitro Stampede, & Nitro Rustler.